Give something exclusive and original created by the Wyssmüller® Boutique. This selection of 4 gift boxes is exciting; sure to bring joy and pleasure to your heart and those who receive it. We’ll deliver anywhere in Switzerland, so simply send us your address and choose a delivery date, and write a personal note. The team at Wyssmüller® Boutique will organise everything else. 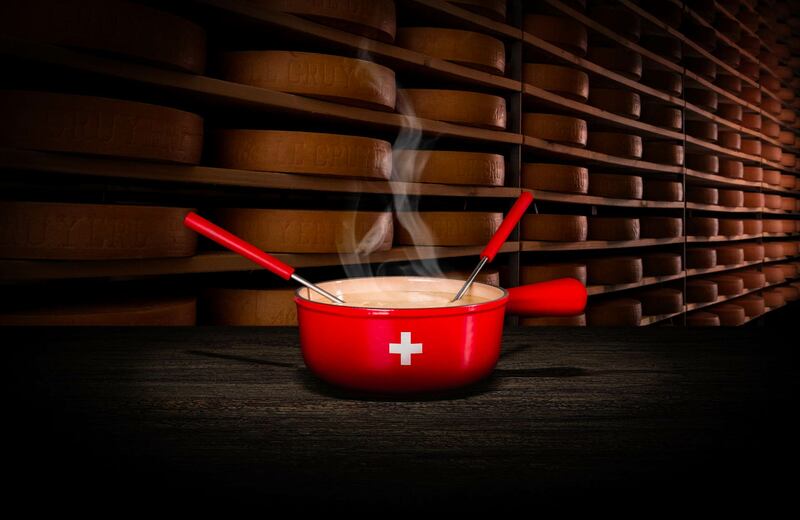 Offer your clients and colleagues a unique gastronomic experience by sending them a fondue gift box of your choice. Our team at Wyssmüller Boutique will organise your gift boxes and will take charge of all the logistics to make sure your clients receive your gift. Postage is available throughout Switzerland. Do you want a bigger choice of products? Fine spices, salted pork or herring, or additional wines? Our colleagues are ready to propose and customise solutions according to your needs.